Located in the state of Jammu and Kashmir, the region of Ladakh is large in size but has the least population. That's exactly why most parts of this region are untamed and packed with surprises in the forms of towering peaks, expansive mountain ranges, gurgling streams and verdant valleys. 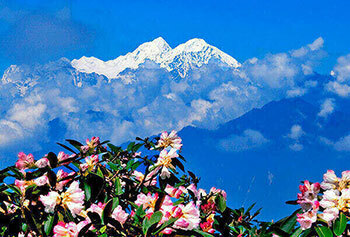 All of it together comprises an experience that is certainly a traveller's dream come true. Many people believe that Ladakh due to its rugged terrain is only a trekker's paradise. That's a false assumption. Ladakh has to offer a number of sights and sounds that would fill every traveller's heart with utter delight – even that of the most jaded one. A tour to Ladakh will transport you to a whole new world. At every step in the region, you would like to stop and soak up the charm that is so amazing and unique. If you are planning a tour to India, make sure you include Ladakh in your itinerary and specifically pick a Ladakh tour package. Leh is the most popular town in Ladakh. This is from where you can explore every corner of the region. Leh offers a number of good hotels and guesthouses for a wonderful stay. Here, you'll also find numerous restaurants where eating can be fun and a wonderful experience. At Max Holidays, we have designed a number of tours that will show you the best of what makes Ladakh a unique travel destination. If you are a nature lover, you will love reconnecting with nature and spend some really good moments with your near and dear ones. If you are an adventure lover, you will have plenty of adventure activities to indulge in. 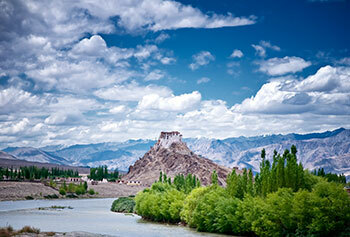 Photography in Ladakh is definitely going to be a memorable experience. While you can choose from a wide range of Ladakh tour packages at Max Holidays, you can also have any one of them customized exactly according to your individual needs and preferences. Just choose the tour package you like the most and if you find it lacks something, ask us and we will tailor-make it for you. "Ladakh is the most beautiful destination i have ever been to. Thanx to Max Holidays! It was like heaven on earth. The guide took special care of all of us. He advised as to take diamox everyday after breakfast due to less of oxygen level, even wear lots of warm clothes. We went to Nubra Valley and Pangong Lake also. A lifetime memorable trip!" "Amazing Experience! We stayed in camps, also been to Khardungla Pass (at a very high altitude), I felt like I had wings, I could fly. The people are very simple and good by nature. I got scared once as breathing gets tough due to less of oxygen, but ‘HATS OFF’ to the tour guide, he took special care." "I have seen few places across the world, but couldn’t find such beauty that Ladakh Offers. Leh is full of surprises & adventure with everyday you will get to experience something different. The hotels provided to us were very descent, the tour guide and driver took proper care of us. Outstanding experience with great memories!"